“Larissa, do you have any upcoming projects? 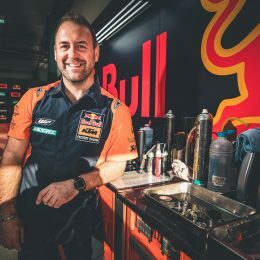 Will you be racing in the Red Bull Romaniacs again in 2018?” Just a few weeks after the biggest adventure in my career to date, questions were already popping up about my future plans. I spent almost a year preparing for the toughest Enduro Rally in the world, so this had been my sole focus. I wanted to make my dream a reality and I thought about it every single day. It feels a bit strange to slow down again and discover that everything has come to a bit of a standstill. I achieved my goal, so what’s next? I must admit, even on the journey home from Romania I was thinking about new goals, races, and ideas. But at the same time another thought occurred to me: “Larissa, take your time and enjoy the moment for once!” So that’s exactly what I did. 2016 and 2017 were very busy years for me. I got to experience so much, and I had so many unforgettable moments. At some point though, you ought to simply take some time to reflect on your experiences; that way, instead of scrambling around for new ideas, they’ll come to you naturally. And that’s what I’ve been doing for the past few weeks. My aim was to simply enjoy the last two races in the Austrian Cross Country Championship: At the races in Mehrnbach and the finale in Mattighofen, I was able to take my place on the podium twice in front of a home crowd, which was a perfect end to the season. The race in Mattighofen was particularly special – for some reason, I knew that this would probably be my last race in the women’s class of the Austrian Cross Country Championship. This was now my fourth time on the starting line, and I knew that if I was going to take part again in the 2018 series then it would be at the next level in the men’s class. I really enjoyed my last race with the other ladies; it was a lot of fun. I actually got back into a reasonably good rhythm every now and then – after the Red Bull Romaniacs event, I found it difficult to get back into “Cross Country mode”. When you train for months in preparation for four full offroad days in the Romanian forest and nothing else, you ride differently than you should during a two-hour sprint race. 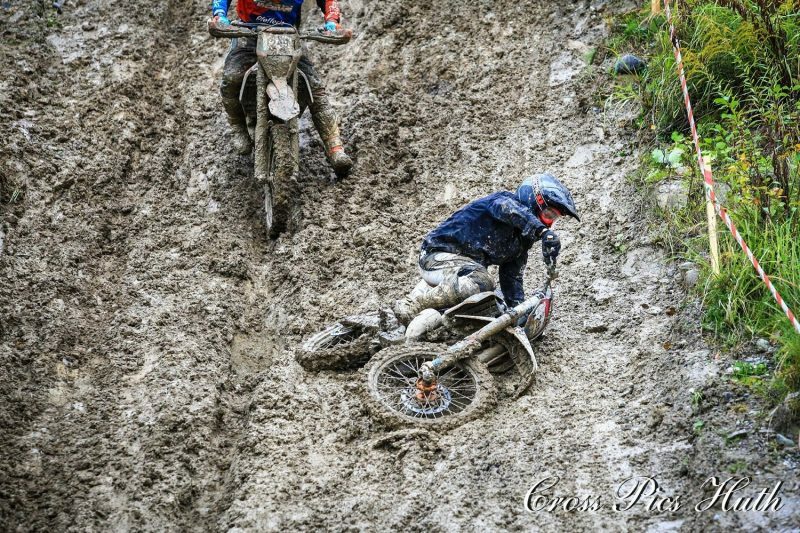 Every now and then during the race I even asked myself the question: “Larissa, what on earth are you doing? Get a hold of yourself!” I was completing each lap in my own little dream world. At the finale in Mattighofen, I was slightly more focused. Once I crossed the finish line, it felt like it was all coming to an end – an end associated with many wonderful memories and unique moments from the many Cross Country races. These were my first steps, my first experiences, and the basis for everything that would follow. After the race in Mattighofen, I received a spontaneous request to take part in another race. This was a four-hour long team race in Amtzell with a lady called Janina Würtele; there was no way I was going to miss out on that. Janina had a background in supermoto and sidecar racing, so road racing, and had never taken part in an Enduro race before. This made me curious to find out how us ladies would fare against the guys. And what’s more, we had never met! It was a “blind date”, so to speak. 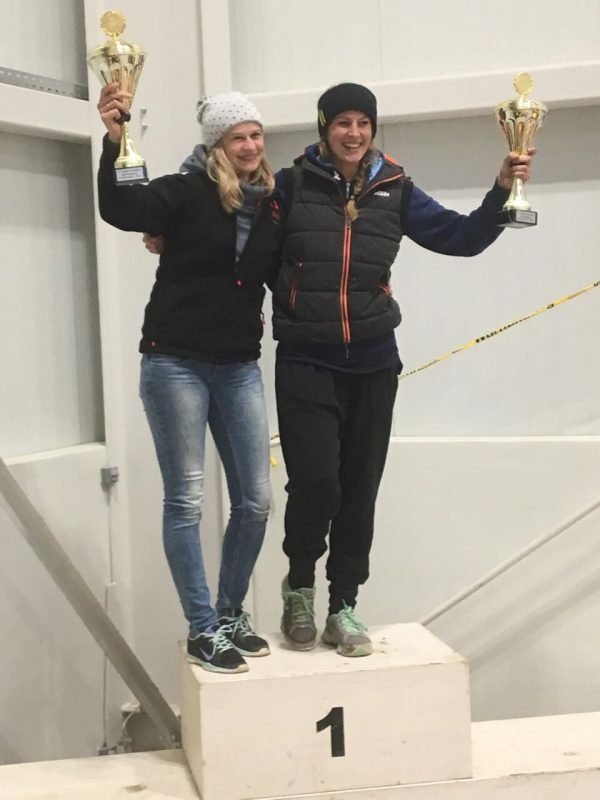 Luckily, it turned out to be “love at first sight”, if you can call it that: how could two motorsport-mad ladies who were letting themselves in for the insanity of a four-hour race in the mud not get on? Conditions were extreme, as there’d been a heavy downpour the day before, meaning that the track was wet and slippery, and we had to contend with one rut after another. 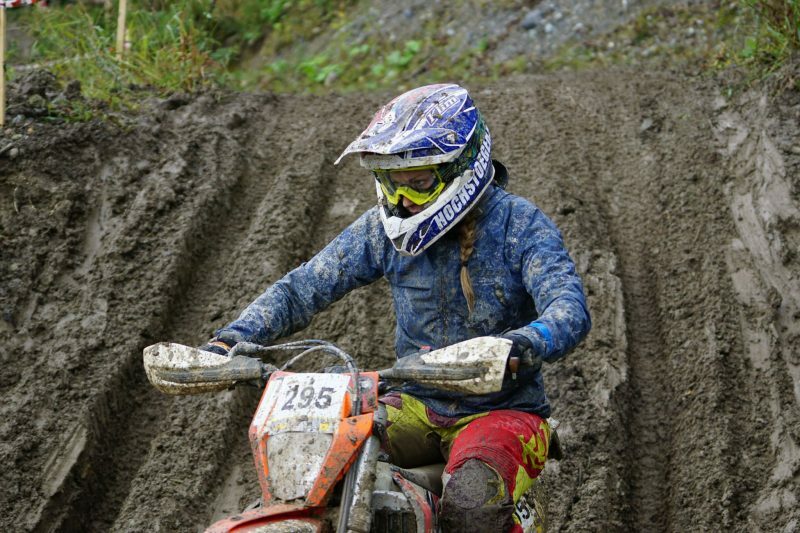 I started the race on the KTM 300 EXC TPI and Janina took over in lap 2. Unfortunately, it was at this point that she encountered a technical issue: a stone became jammed in her bike chain, causing her to get stuck in a huge mud hole. Thankfully, as she’s a real fighter and didn’t think about giving up for a second, we were able to continue our race. I took over again in lap 3, and we changed after every lap over the course of three hours. Even at this early stage, we had gotten into a great rhythm. We were the only women on the starting line, and we were doing just as well as the men. The finish line was already in our sights and the four-hour mud bath was nearly over; but there was a nasty surprise in store for me. After another changeover, I re-entered the race and quickly found my rhythm. I made a small error on a fairly steep descent, got the front wheel jammed, and flew over the handlebars. Unfortunately, I fell somewhat clumsily on my right knee during the impact and I knew immediately that I had just sustained my first injury. I glanced over at my bike – luckily it had emerged relatively unscathed. 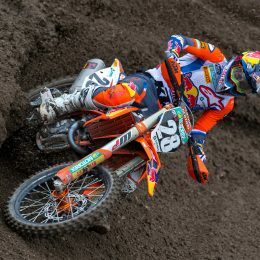 The track marshal said to me: “The KTM has resisted the impact pretty well, everything is still intact”. Unfortunately, the same couldn’t be said for me. When I took a step, I noticed that my thigh and lower leg were not working together as they should, which was a gruesome feeling. 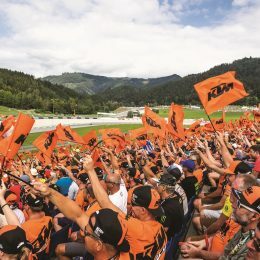 With the help of the track marshal, I crawled back over to my KTM and carried on riding so that I could swap with my team partner for the last lap. Janina carried on to the finish line for us, while I trundled back to the paddock. When I got undressed, I noticed that my orthosis was broken – I don’t even want to know what would’ve happened had I not been wearing it! My friends and other riders were a terrific help at the paddock, and before I knew it my bike and everything else had been packed up and I was ready to go home. But I certainly didn’t want to miss the awards ceremony. Janina helped me to the podium and hauled me up to the top. There we stood, and although I knew that I wouldn’t be competing in Enduro races any time soon, I smiled at yet another wonderful moment in my life. So much team spirit between two people who barely know one another is extraordinary! The fall gave me the idea for my new project: to get fit and healthy again and return stronger than ever. My injury was diagnosed as a torn cruciate ligament, lateral ligament, and meniscus. As my knee is too sore at the moment, I won’t be having an operation yet. The meniscus and lateral ligament can be healed mainly through physical therapy, but sooner or later I’ll have to have an operation on the cruciate ligament. It isn’t going to be an easy recovery; it’ll take forever and at times will most likely push me to my limits mentally. But I’ve overcome many other challenges in my life, so I feel optimistic. Success is as much a part of Enduro sport as injury, and there are probably very few major athletes who have never been injured. Many have in fact celebrated the highlights of their careers following their worst injuries. If that isn’t motivation, then I don’t know what is! 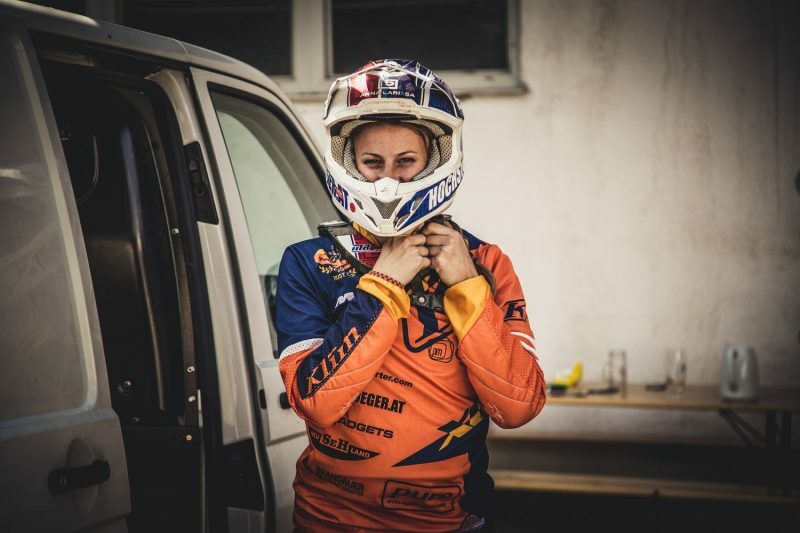 Get to know more about Larissa on the KTM BLOG – Collecting Moments #1: Passion for motorcycles, Collecting Moments #2: The search for the perfect motorcycle and Collecting Moments #3: The Iron Giant has me captivated!, Collecting Moments #4: Red Bull Romaniacs 2017 – Finisher in the toughest Enduro Rally in the world! – or check out her website!